THE MAJORITY OF Dublin Bus drivers have accepted a new pay deal from management, ensuring that no further days of strike action will go ahead. Drivers from both Siptu and the National Bus and Rail Union accepted the pay proposals. The drivers with the NBRU accepted pay proposals from the Workplace Relations Commission (WRC) by a margin of 79% to 21%. The margin was tighter with Siptu drivers. With 58% accepting the pay deal and 42% rejecting it. The other grades that Siptu represents voted in favour by majorities of between 70% to 90%. Results from three smaller unions are expected after the weekend. Transport Minister Shane Ross said that he welcomed the news but noted that there were further ballots to take place. NBRU general secretary Dermot O’Leary said that drivers had accepted the new proposals “despite reservations” about some of the issues. “In doing so our members have once again demonstrated that it is their desire to continue to provide a public bus transport service to the citizens of our capital city despite the lack of support by the State in providing sufficient subvention,” he said. The pay proposal involves an annual pay increase of 11.6% over the next 15 months. Siptu division organiser Owen Reidy said the planned strikes for October would now not go ahead. “This result today means that the long running dispute at the company is over and the series of eight scheduled days of work stoppages during October will not now occur,” he said. Dublin Bus services ground to a halt over a number of days last month as workers took industrial action in a dispute over pay. Dublin Bus workers were seeking a 15% pay increase over the next three years and a 6% rise they say they were due to get under an agreement in 2009, but which was deferred. Unions in August rejected a Labour Court-recommended 8.25% increase over the next three years. After marathon talks at the WRC last week that lasted over 24 hours, a new pay proposal was reached between union representatives and management. Email “Dublin Bus drivers have accepted a new pay deal”. 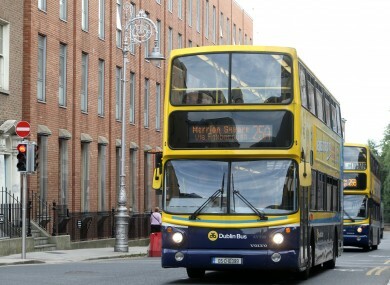 Feedback on “Dublin Bus drivers have accepted a new pay deal”.